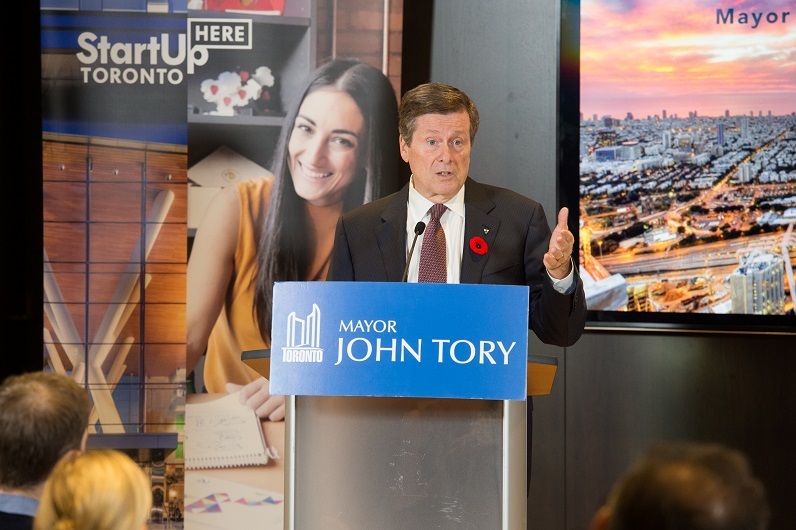 To help showcase opportunities for international talent in Toronto and Canada, the Collision technology conference is hosting the City of Toronto’s StartUp HERE Innovation Showcase. The showcase is being held on May 24, in partnership with MaRS, NewCo, Startup Open House, the Province of Ontario, and the Government of Canada. The full day of events will provide a range of opportunities for international talent to learn more about the Canadian innovation ecosystem, as well as interact with potential employers and connect with Immigration officials. Collision is expecting 25,000 international delegates to attend the four day conference. Companies that are interested in engaging talent as part of Collision can sign up to be part of the Talent Marketplace that will be hosted at MaRS between 10 am and 4 pm on May 24. Companies can also choose to have talent come visit them by participating in NewCo Talks between 9 am and 4 pm on the same day. Additionally, there are “innovation road trips” planned to help delegates visit Ontario’s innovation hot spots, including Waterloo, Markham, Brampton, and Hamilton, as well as a meetup at the end of the day for extra networking opportunities. The showcase fits in with previously announced inbound trade missions for global businesses looking to explore Canada’s innovation ecosystem. Collision’s presence in Toronto has encouraged several organizations to schedule more than 100 inbound trade missions, arranged by Global Affairs Canada, the Province of Ontario and the City of Toronto. Taking place from May 20 to 23 at the Enercare Centre in Toronto, Collision is bringing together over 450 speakers, 500 investors, and 1,000 startups from over 120 countries.